If you are into an online business then it should know no bounds. You have to be present on every authenticated platform in the online world. This will make your business reach to more and more people. Online business is like getting wings, you can go wherever you want with ease. And when we say online business, there comes the important part that is the Search Engine Optimization (SEO). In order to have a good SEO presence, you need to also register yourself on the local business listings. Registering on local business listings gives a different boost to the business. It not only increases your reach but it also pitch in the potential customers. We all know how Google My Business Page works. But there is also an alternative to it, rather I would say one more option to list your business which is Bing Places For Business. Bing is a Microsoft’s search engine. As compared to Google, it does not hold that kind of popularity. But still, it is a favorite tool of millions of people. And many of them do search for businesses through Bing. Also, the best part about Bing Places is that it is easy to use and it comes for free. So you can list your business for free. Bing is world’s third largest search engine after Google and YouTube. And it has truly changed the way businesses function through its business portal way back in 2013. 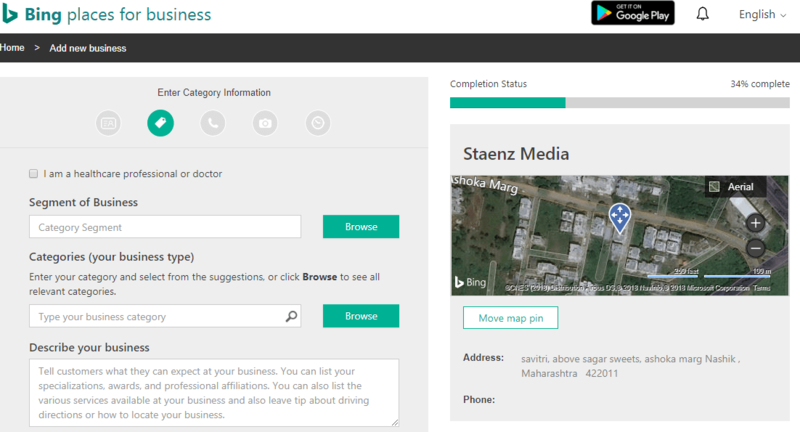 So Bing places for business is a platform where a company connects with the local customers in a fast and easy manner. all you need to do is list your business with Bing search engine. There are high chances that your business already has a listing on Bing. So all you need to do is to claim that existing listing. If there is no already existing listing then you can add a new one. Even if your business has multiple locations, you can make the additions in our profile in one go with the help of the bulk upload tool. While you are getting started with creating the profile, it will ask you the business type and location. The most important part here is that it has an option of importing all the data from Google My Busines Page. So if you already have a Google My Business Page account, you can click on the Import button. If you do not have a profile on Google, then you can create your profile directly on Bing. 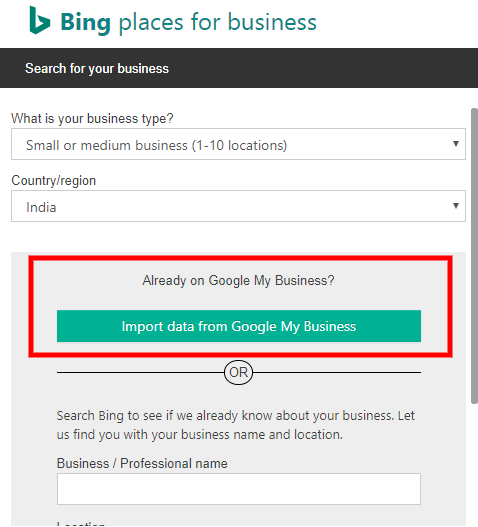 If you already have a Google My Business Page account, then you will click on “Import Data From Google My Business”. And then Bing will show you a window where you will find all the details like how it will be using all the data and what all permissions are needed. once you go through it click on “Google Account”. So you are directed towards your Google account. Log-in to your account and then do the rest of the procedure. So if you are not on Google my Business, then you can create a new account by clicking on “Create New Business in the next window. Now I am creating a new account for Staenz Media. Once you click on “Create new business”, you need to log in either with your Google account or Facebook account or Microsoft account or your work account. So once you log in, Bing will fetch all your information and auto-fill the profile. Just check everything whether it is correct or not. After checking everything, hit the “Submit Button”. You need to add all the other details like company name, address, location, business type, description category etc. After completing the profile, you will be directed towards the verification window. There you will find options like verifications through PIN or through a phone call or through SMS. 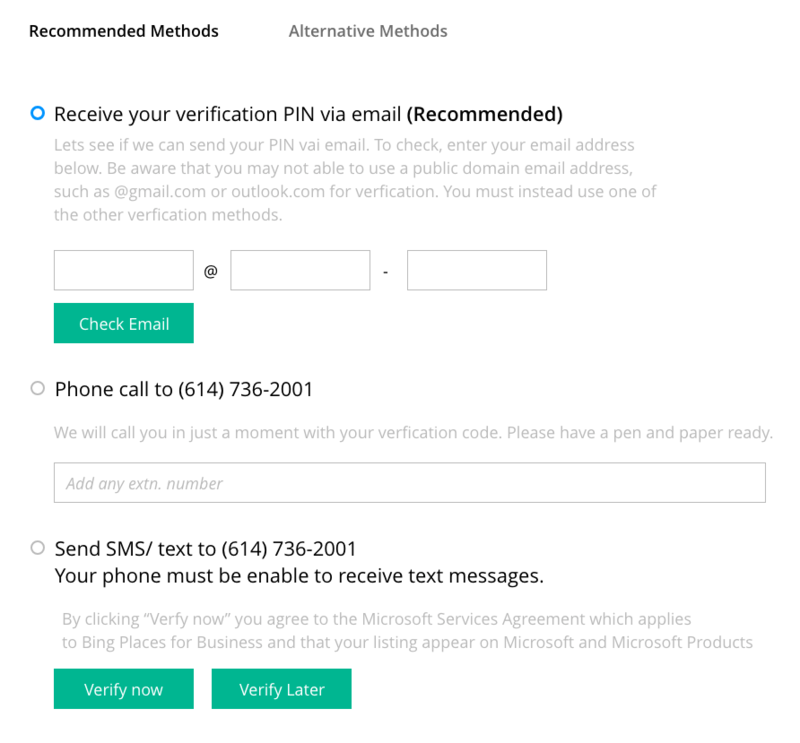 You need to select one of the options and you will be sent a verification code. 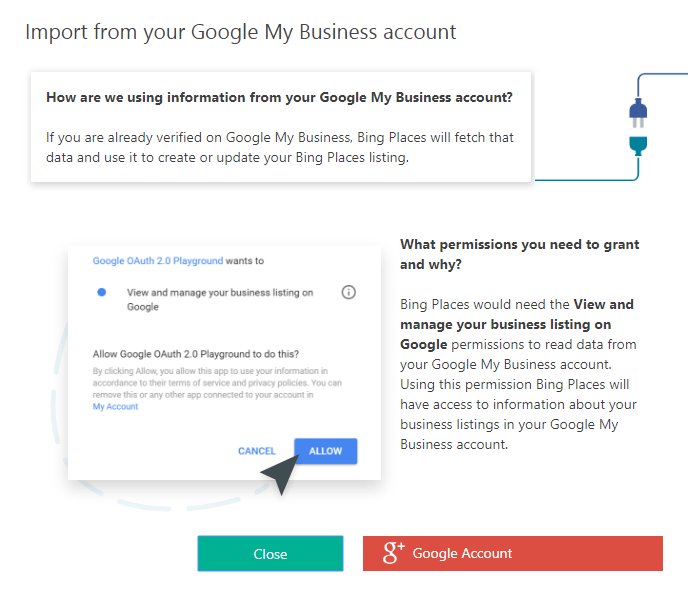 Once your business is verified, you will receive a notification from Bing Places for Business which will be a confirmation message that you have successfully claimed your business. Once you receive the PIN then you can log in to the Bing Places for Business dashboard and enter the PIN in order to verify and manage your listing. You can edit, add information and take complete control of your listing and how it should look on the world of web. Also, you can manage multiple listing from one dashboard. Having a fair presence on the web is only going to increase your reach of customer and as a result, your business will increase. Bing Places for Business is another way to do that. So grow your business the way you want!